A late 18th century bust of the Goddess Diana which was looted from the Royal Lazienki Palace in Warsaw by the Nazis has been returned to Poland after emerging at auction in Vienna. The bust of the Goddess Diana by Jean-Antoine Houdon which has been recovered by the Art Recovery Group and will be restored to the Royal Lazienki Palace in Warsaw next month. Having been in the collection of King Stanislaw August, the sculpture by Jean-Antoine Houdon had been taken along with 56 paintings from Poland's national museum in 1940 when it was packed up and transported to the Krakow headquarters of the Nazi's General Governor of occupied Poland, Hans Frank. 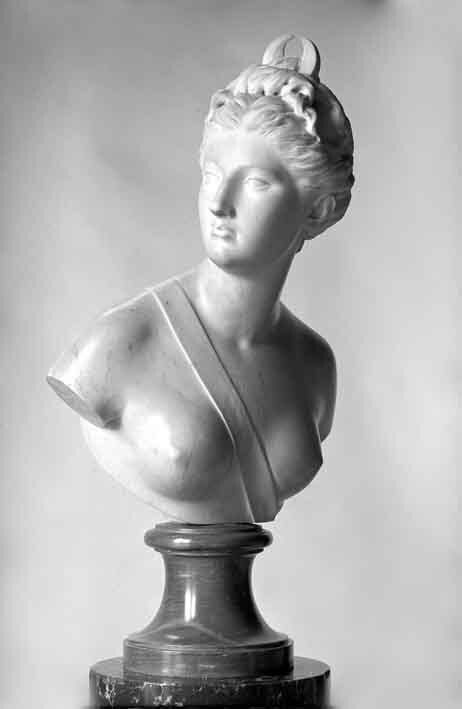 The location of the bust was a mystery until it appeared at the Austrian auction house Im Kinsky in June this year with a €50,000-100,000 estimate. The return of the work was facilitated by the Art Recovery Group who, acting on a pro-bono basis for The Polish Ministry of Culture, encouraged the auctioneers and the consigner to reach an amicable resolution with Polish government. The Houdon bust will now be formally returned to the Polish government in restitution ceremony at the Royal Lazienki Palace next month. While the Polish Ambassador to Austria, Artur Lorkowski, provided diplomatic support, the Art Recovery Group also recruited a former adversary to provide assistance at a local level in this case - Hannes Hartung of the law firm Themis Partners. Hartung had previously been hired by the late Cornelius Gurlitt when ARG made efforts on behalf of the Rosenberg family to recover a painting by Henri Matisse in his collection. The work was returned to the family earlier this year. Meanwhile, The Art Recovery Group won an innovation award for their ArtClaim database at the annual Spear's Wealth Management Awards. It was the first time a company involved in the art market had won the award. With its image-recognition technology, it is claimed to be the "world's most technologically advanced art market due diligence resource". CEO of Art Recovery Group Christopher Marinello said : "Change doesn't always come easily to the art world, but transactions in today's art market are more complex than ever before and innovative resources are required to build trust and growth in the trade as a whole. We are very proud that due diligence services through the ArtClaim Database are at the forefront of that movement." Where did you get that €1.5m hat?